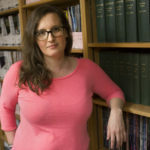 That question drove science writer Jenny Cutraro to develop Science Storytellers, a public engagement program that aims to sit children down to interview scientists, just like professional journalists do—and then to share their science stories. 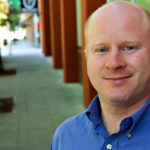 Jenny wondered: Would the chance to interview a scientist make kids’ eyes light up? Or would they mumble, “Um, no thanks,” and drift away? 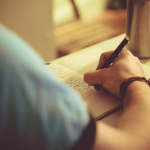 To find out, she invited The Open Notebook to partner with her at the Family Science Days event in Boston last year, held as part of the AAAS Annual Meeting. 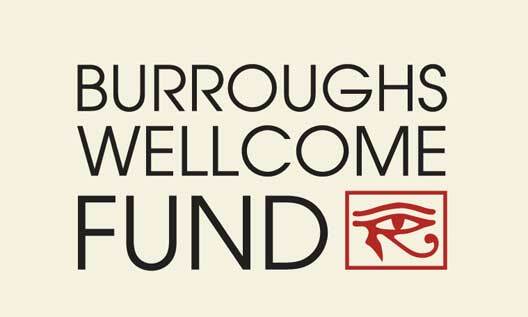 The Burroughs Wellcome Fund, which also supports TON’s early-career fellowship program, offered generous seed funding to cover the design and production of booth materials. We stocked our booth not with gadgets or swag, but with human beings: scientists who’d volunteered their time for an hour or two, and science writers who’d likewise offered to lend a hand, helping ease kids into conversations with scientists and offering gentle interview coaching when needed. We need not have worried about whether kids would want to talk to scientists. Our booth was flooded. 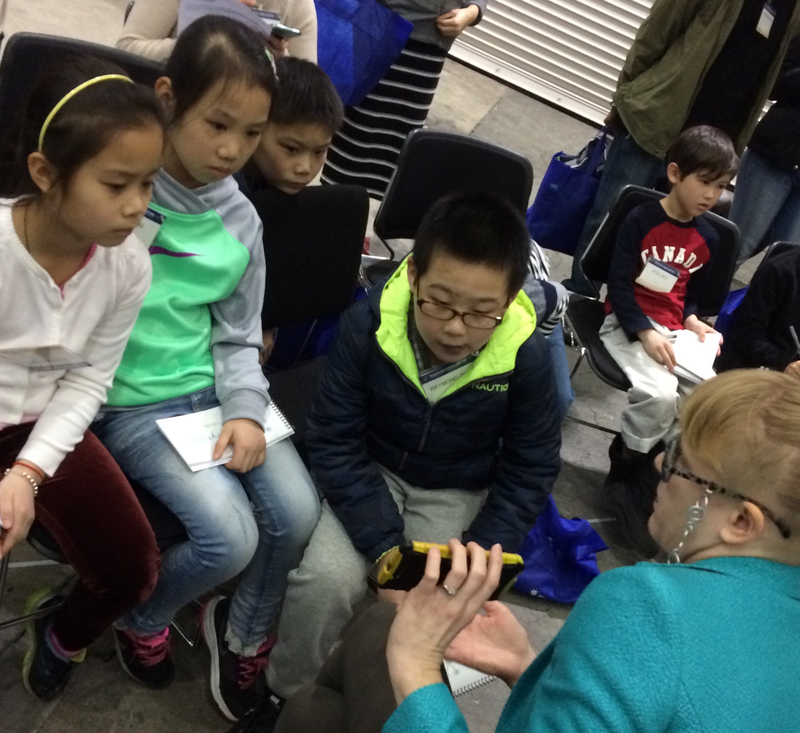 Over two days, some 400 kids sat down and had conversations with scientists—conversations that lasted 15, 30, sometimes 45 minutes. We had to pull chairs from other booths to accommodate all the kids who wanted to talk with our scientist volunteers. We had kids who, after meeting a scientist on the first day, begged their parents to bring them back on the second day to meet more scientists. We had scientists who volunteered for a one-hour shift and stayed for five hours. We overheard conversations that gave us chills. 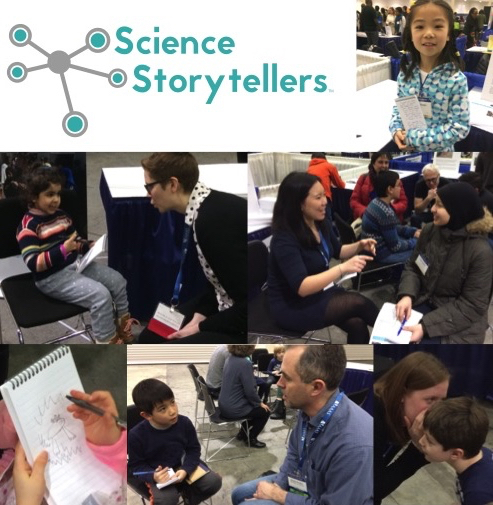 The resounding success of the first Science Storytellers booth left us with no question that we’d want to do it again at this year’s AAAS meeting in Austin. (Visit our Facebook event page.) We’ll be at Family Science Days on Saturday and Sunday, February 17 and 18, from 11 a.m. until 4 p.m.
Want to volunteer at the Science Storytellers booth? 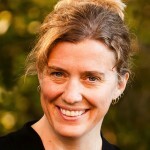 Interested scientists and science writers should email Jenny Cutraro at jenny@sciencestorytellers.org.